© Copyright Avi Sion, 1996-2006. Published 2006, by Avi Sion, in Geneva, Switzerland. Be mindful… but do not mind. 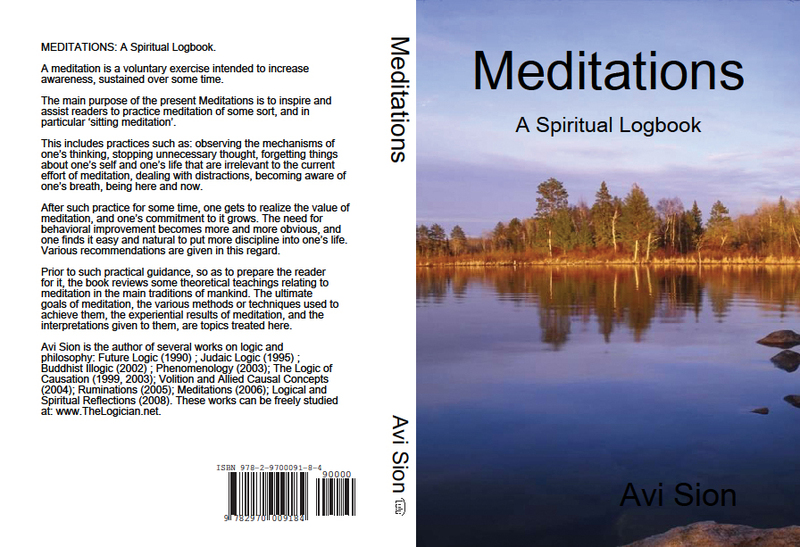 Meditations: is divided into 4 parts, with a total of 33 chapters.